Cape Town - Engineers and developers seem to be coining it, according to research by job aggregator Adzuna. 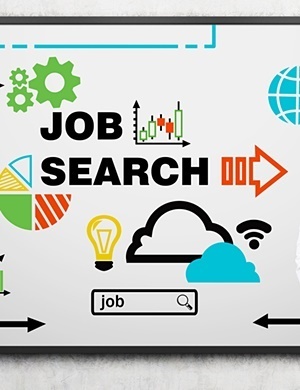 It said in a job market update that not much has changed in the online job market since January, with the exception of critical skills becoming harder to find and a drop in average salary. It noted that the top skills to have remain technology focused, with engineers and developers (programmers) raking in the highest average pay during March 2017. "Technical skills requiring a trade or less highly qualified skills also saw higher salaries than previous months. Other winners in the income category were project managers, business analysts, nurses, most financial-related skills and consultants of all types." Adzuna said sales employees saw the biggest loss in advertised salaries, but it added that these figures are always dubious, since many sales professionals earn higher salaries in reality due to commission or bonuses. It said drops in vacancies for sales staff were also recorded, but not large by any means. "The assumption is that firms are paying more on performance in an effort to tighten their belts in a tough economic climate." It observed that the average salary of the almost 140 000 unique vacancies listed on Adzuna dropped considerably in the last nine months. Adzuna said this could indicate a higher percentage of lower income positions being advertised, but with a rise in ads for the more highly-paid skills, this is unlikely. “This decreasing average supports the view that the South African Reserve Bank would not increase the repo and interest rates, and could in fact be assessing whether or not to reduce them to meet its inflation targeting goals,” it said. However, it added that a cut is not the view of most financial advisors, since less spending money for South Africans should curb the current inflation rate, which is still hovering above the required 6%.